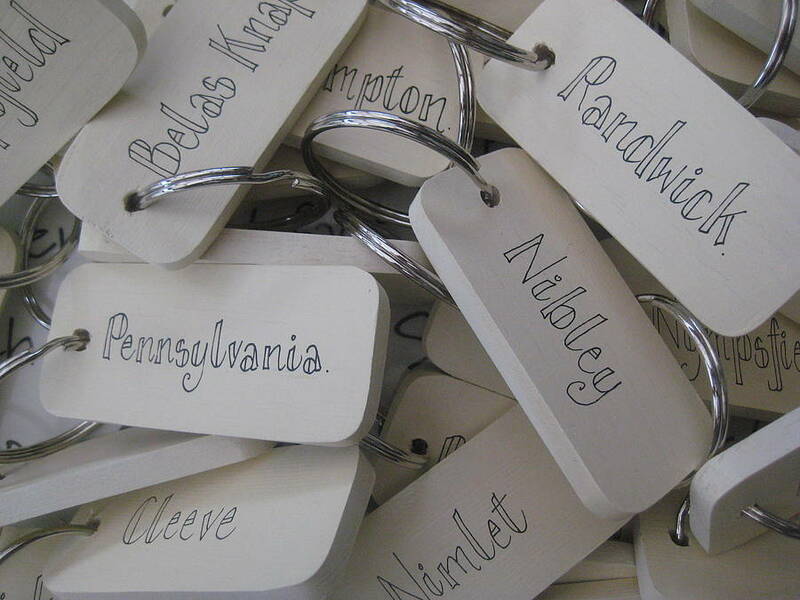 An ever popular wooden keyring to personalise with names, nicknames, house names or locations. 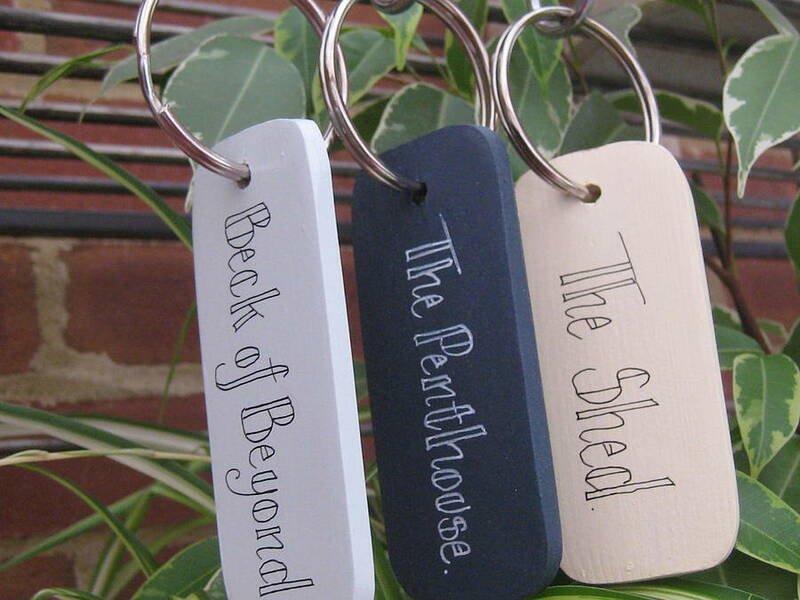 The pine key rings are hand painted with several layers of paint in a choice of three colours. The script is hand written and then a protective varnish is applied. 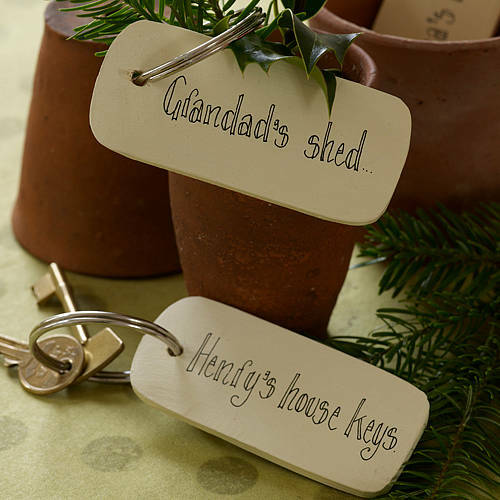 These key rings make a super, very personal gift for friends and relations of all ages. 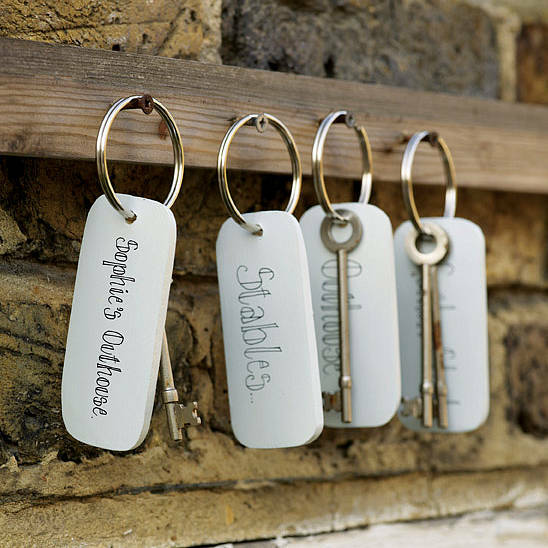 Everyone uses keys! A great little extra gift. 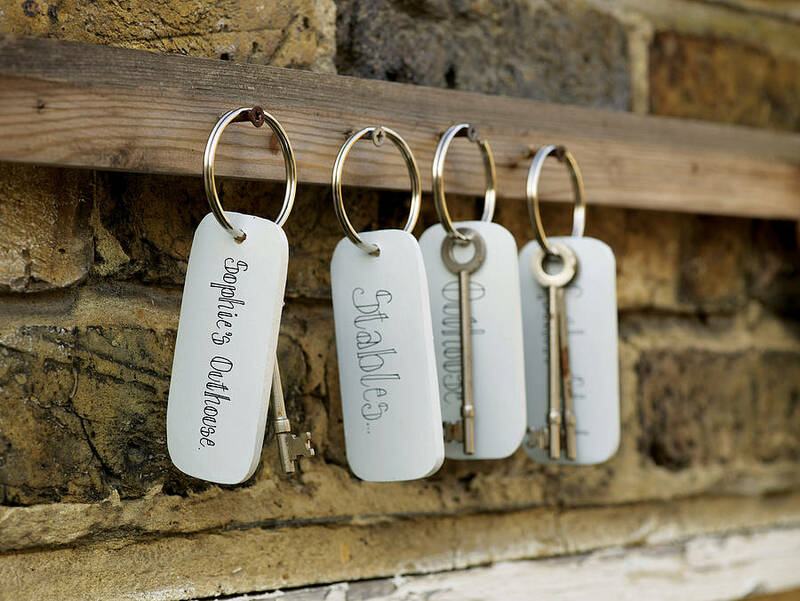 For commercial use or rugged outdoor use the key rings are available in thicker wood, on larger diameter rings, see Okey Dokey Sturdy Key Rings. 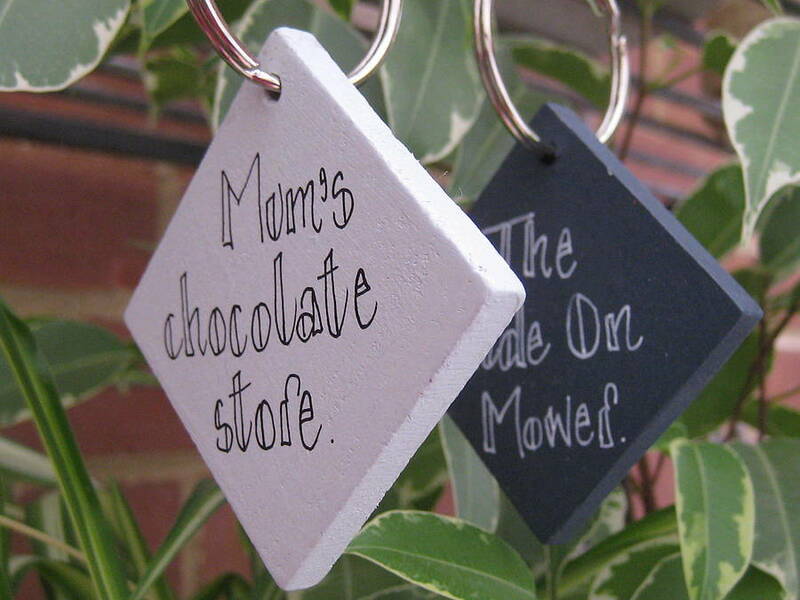 The key rings are available in three colour choices. 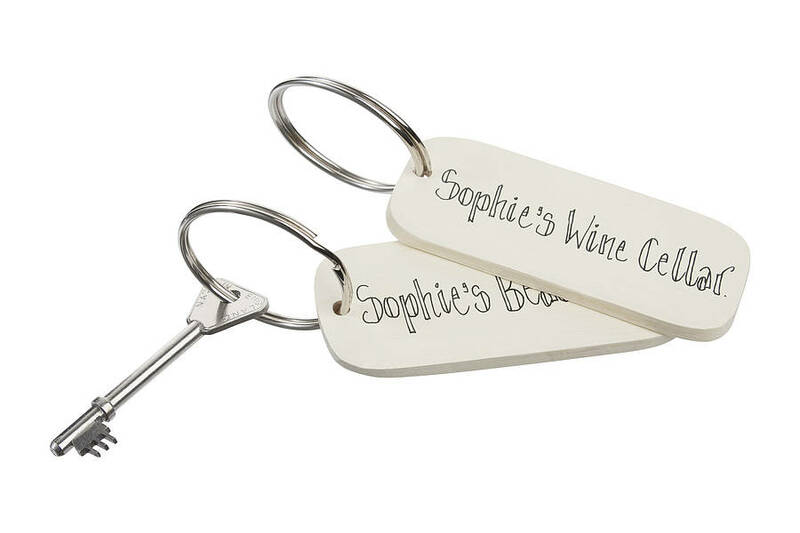 The cream and duck egg blue have black lettering and the dark grey key rings have white lettering. 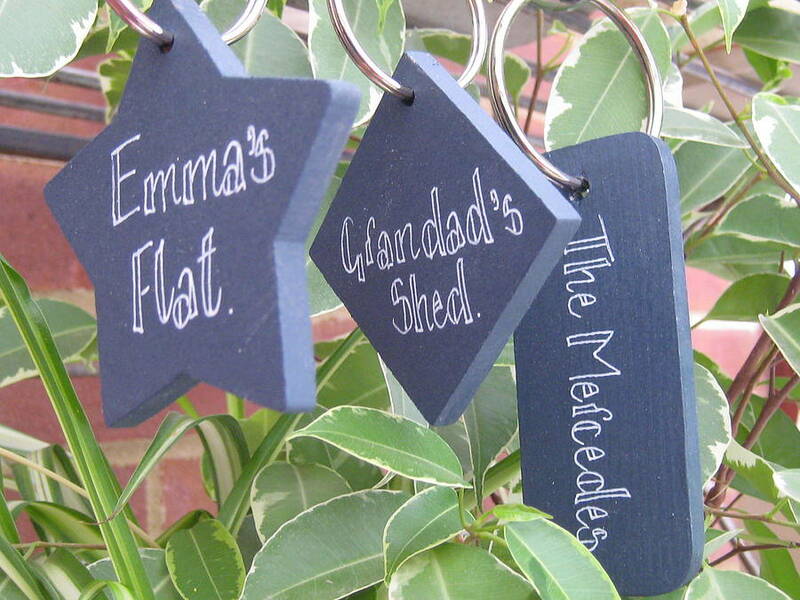 They are also available in three shapes, rectangle, square and star. 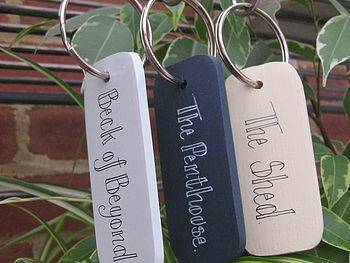 The rectangular key ring is made from sustainably produced pine. 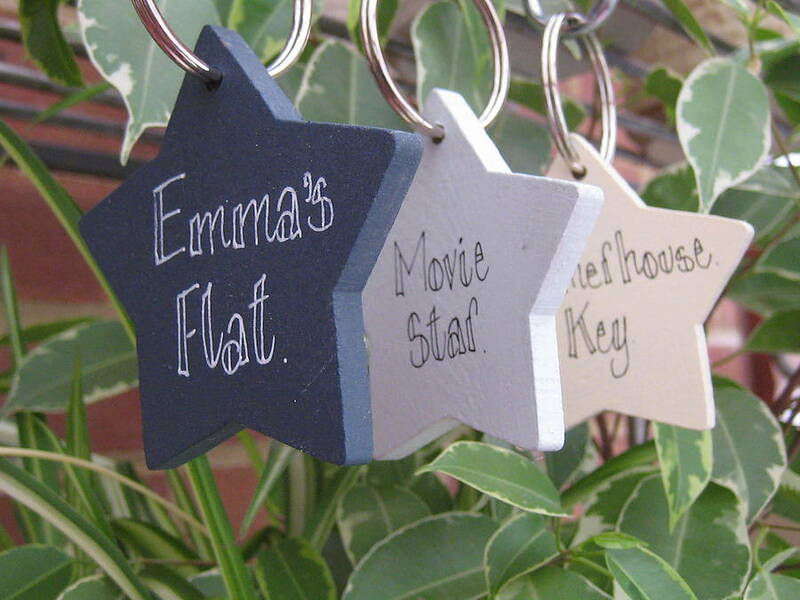 The star and square key rings are made from birch. All shapes are attached to a nickel plated metal split ring of 35cm diameter. The rectangular key ring measures L10cm x W4cm. The star key ring is W7cm across. The square key ring is 5cm x 5cm. The ring has a diameter of 3.5 cm. This product is dispatched to you by Okey Dokey. The product is made to order and therefore 2 days must be allowed before Express Delivery can take place.